A video that needs to be edited real good. 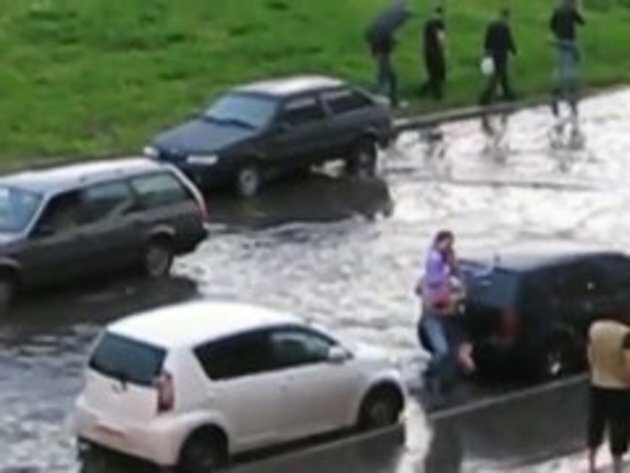 In mother Russia woman always comes first, even if you have to stop traffic. An he didn't even get a kiss... Ladies, if you want us to be gentlemen, we want something in return. @Urihep: 1) There's no doubt he got thanked a few times (we can't hear it since the camera isn't close; besides, I don't know Russian). 2) Can't you do something nice for someone out of the genuineness of your heart, without trying to exact something out of them? #8 You kinda didnt get the concept of being a gentleman. Props to that flood-walking daddy-o. Who wanna bet that those two banged him in that night? That bonus at 2:12 raised the humidity level in his car a little . Open windows ftl.